Make your move to the picturesque Hialeah a breeze. Our full service moving packages are an affordable way to get all of your worldly belongings into your new home without any hassle. Our professional movers will have your boxes packed with care, loaded, shipped and then unpacked at you new location. This is a convenient way to get you started anew in this magnificent mountain backed community. Ask us about special pricing for moves that are only 100 miles away. There are many things you need to know when you are moving. You need to think about the packing, the paperwork, finding good movers, proper time and location. All of this requires a lot of planning, a lot of setups, and finally – a lot of work. However, when you want to move on a budget with cheap movers Miami, then there isn’t much to think about – there are no better movers than us. In this article, find out more about why we are the best Hialeah movers in Florida. Also, learn some more information about the city itself. The first thing you need to do when moving is to learn a little bit about the city itself. The City of Hialeah is part of the Miami-Dade County and is a principal city of the Miami metro area. The population of the area is estimated to be over 6 million people (in 2015 census), while the population of the city is around 225,000 people. This makes Hialeah the sixth-largest city in the state. Hialeah has one of the biggest Spanish-speaking communities in the country. Hialeah is special for many reasons. First, there are only two cities the county (the other is Homestead) that have their own street grid numbered separately from the others. What this means is that the streets here aren’t based on Miami Avenue at Flagler Street in Downtown Miami. The city also has the higher percentage of Cuban and Cuban American residents (73.37% of the population) than any other city in the country. These cultures are prominent and shape the city’s own culture in many ways. Along with this, one of the largest Spanish-speaking communities in the United States is also in Hialeah. 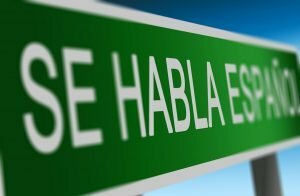 Around 96% of the people speak Spanish at home, according to a 2016 research. The language is an important part of the city as well – many companies (like Telemundo) have their headquarters in the city. Finally, the city is well connected to the Miami Metrorail. There are three stations – at Okeechobee, Hialeah and Tri-Rail/Metrorail Transfer stations. The first two are there for the many commuters who live in Hialeah and work in Downtown Miami, while the Tri-Rail is there to connect people to the Miami International Airport, as well as the West Palm Beach. Let’s look into each of these in details. One of the most important traits of any good movers (and really, everywhere in life) is the good communication skills. If you cannot communicate well with people, you cannot get your ideas across. You cannot arrange for meetings, and you will fail to perform tasks. This is why communication is very important. Communication is really important when moving. At Orange Movers Miami, we are always open to working with our clients. Your wishes and needs are our priority. We will open all the channels of communication. You will know and influence each step of the move. Only then can you fully be at ease with the whole moving experience. Also, if you have any questions and concerns during any time of the move, do not hesitate to raise them. Our representatives are there for you – and will work towards solving everything that may arise during the move. Time is an important factor when you are moving. Sometimes, you need to do it quickly – you might be moving during the workweek. Wasting days during the move means you are wasting time. This in turns means you are wasting money. Since moving can be expensive, wasting your money is definitely not your goal. This is why our movers are very efficient. First, we have been Hialeah movers for quite some time. We know the area and how to get around. Also, we can recommend the best times for you in order to avoid as much traffic as possible. We also try to be as efficient as we can with the packing – which can often take up most of the moving process. And since most moving companies charge by the hour, by shortening our work – you will save even more money with us! Then, all professional Hialeah Movers need to be punctual. Imagine if the moving company was late for the pickup – or even worse – late to give you your things. This can often be a nightmare! We try to respect all arrangements and be punctual even with a busy schedule. One of the biggest worries our clients have is the security of their items. Well, fear not! With us, your things will be safe from theft. Our trucks have their own safety measures, and we also have safe storage units in Florida if there is a need to store your belongings. We also offer various insurance packages for your things. Be sure to talk to our representatives and make an informed decision about your move! 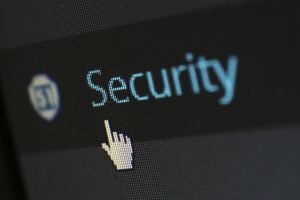 Security is our big concern. Another thing that matters to us is how your items are transported to their new home. First, our workers pack your things with care. We have great packing supplies which will boost the security of your items. Secondly, we will be watchful when loading and unloading our trucks. This way, your items will arrive at your new place in one piece! We have already addressed some of this, but you obviously need professional Hialeah Movers for your move. Our workers have all been in the business for some time, and are able to spot problems before they arise. They also know how to do their job well – and will make sure your moving experience goes as smooth as possible. Finally, picking a professional moving company will reduce the levels of stress you have, which is very important in the long run. The culturally diverse city of Hialeah is a wonderful city to buy a home, raise a family, grow a business, no matter which part of the world you hail from. Our full service moving plans make starting out in your new house easy, from packing up your boxes at one side of town, to getting your possessions back on display on the other side. We take all the trouble out of moving in Hialeah, giving you time to get out and take a look around. Businesses of all sizes are thriving in Hialeah. 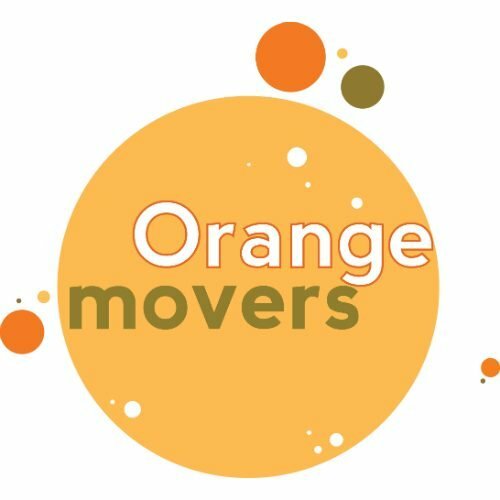 If you want to give yours a fighting chance in a bigger building, call Orange Movers now. With precision and attention to details, we make commercial moves that don’t disrupt your operations. Call our commercial relocation experts in Hialeah now and put your business plan on the move. 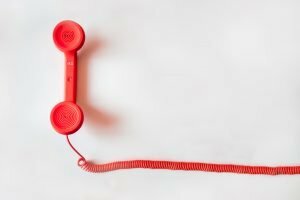 Our affordable pricing and unique expertise makes using our services a win-win for your company. Are some of your possessions making your Hialeah move worrisome? Put those worries aside with a professional moving company that has years of experience in getting heavy, fragile and awkward items from point A to point B. We know just how to pack, lift and transport expensive works of art, large screen televisions, heavy antique furniture and anything else unique to your home that needs to get set up in your new one. Your trust means the world to us, and we value your possessions the same way we value our own. Over half of our customers are coming from referrals, and we take that faith to heart. It’s our high quality Hialeah moving services at affordable prices that give our past clients reason to tell their friends who to call when it’s their turn to move. Call us now and learn more about our array of moving services. It starts with a quote that gives you a fair estimate of our services. Then a phone call, where the details of your Hialeah move are mapped out. The next step is that personalized door to door service, where your possessions are carefully boxed, shipped, and then unwrapped inside of your new Hialeah house. Beds and tables assembled and all put into place, ensuring that your first night in your new home is a comfortable one. We do the hard work, letting you enjoy the thrill of making your new house, a home. A DIY move leaves you in a sea of boxes, for practically the same price as our full service local moving plan. We help with arranging the furniture, opening your boxes, and even putting the dishes in place. We have an impeccable record of providing quality moving services to all parts of Southern Florida, a record that we are determined to keep. Call us now to get your moving quote, and begin your stress free moving journey. If there is one thing we have learned from our years of experience is that no two moves are ever alike. Each home or business has their own history and own circumstances that makes it unique. We treat each client personally to ensure that all of your special needs are met. If you are making a local move in Southern Florida, ask about 10 free packing boxes and 1 month of free storage. And that is just one of the perks you get for moving with us. Not all moving companies are what they claim to be. With Orange Movers you get fully licensed and insured vehicles, friendly professional movers, and a service that exceeds your expectations, without any hidden fees. Know what you are getting with your move up front, and move into your new Hialeah home or office with ease. Call us today and find out more about our pricing plans, special services and commitment to moving your possessions with care.